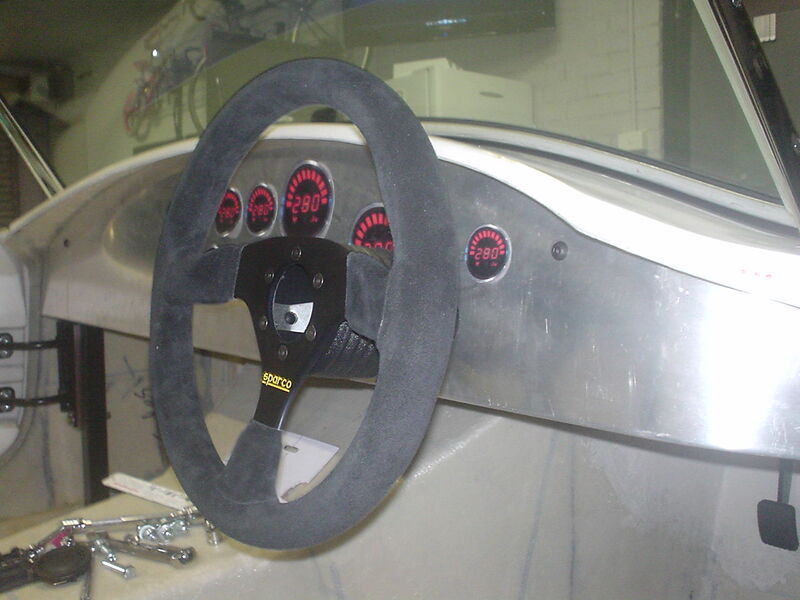 After mucking around with some cardboard templates for a dash layout, I ended up purchasing a formed aluminium dash panel from Classic Revival. This panel has the correct curve to match the body, wraps around at the ends and is edge folded to make it stiff and strong. I wouldn't be able to make this for what it cost, so it made sense rather than trying to make my own. The "gauges" you can see in the pics below are 1:1 printouts of a similar style to my VEI gauges, except my actual gauges are blue as opposed to read on the printouts. Paper printouts held on with blu-tak are a great way of experimenting with gauge layout without having to cut any holes. The aluminium is around 1.5mm thick. After drilling three holes it's bolted using the points you can see in the photos. It will need a brace in the middle lower to make it more solid. A quick piece of aluminium "L" and a bracket will fix that. 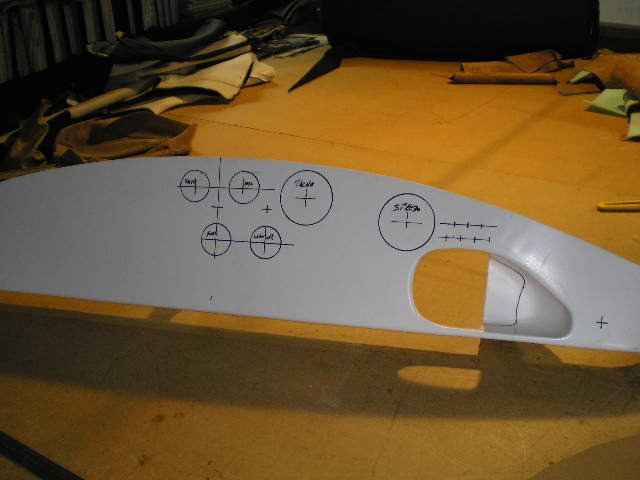 After MUCH measuring and calculating, I cut the hole for the steering column and got it spot on within about 1mm or so. 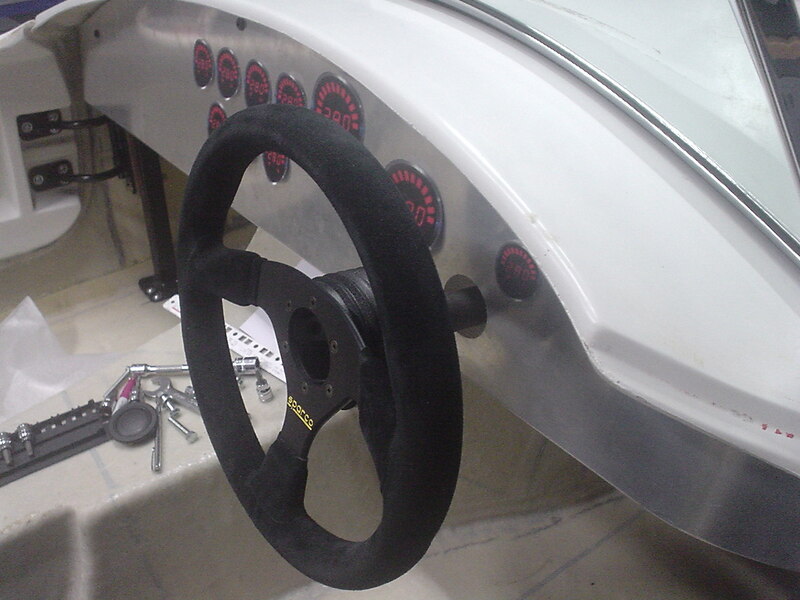 The steering wheel is a Sparco P383, 330mm, the boss is from Momo. 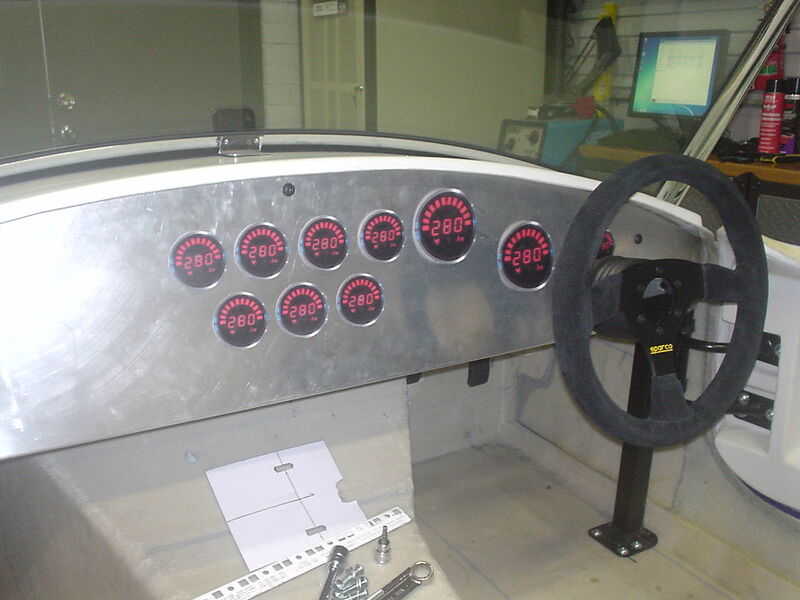 The dash panel will eventually be finished either in paint, powdercoat, or more likely covered in p-leather or something similar.